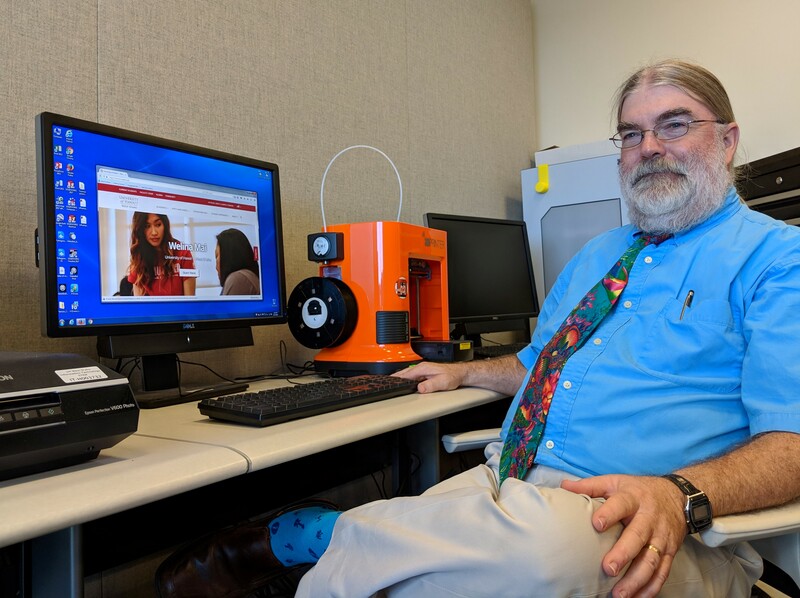 UH West Oʻahu Associate Professor of Science Education Richard Jones has received a $638,100 grant to create the UHWO VETS (Veterans Empowered Through STEM) program to support veterans interested in careers and education involving Science, Technology, Engineering and Mathematics. The three-year grant was awarded by the Office of Naval Research through a competitive process and will run through October 2021. Under the grant, Jones will be able to support student veterans who are interested in a career in a STEM-related field, add more 3-D printers to the E Building STEM lab, enhance veterans outreach through the hiring of a Veteran to work with Veterans’ groups and recruit Veterans for internships and externships, and possibly fund a veterans’ lounge. The VETS Program addresses an effort by the Department of Navy to improve STEM Education in the United States and ensure that a health science, technology, engineering and mathematics workforce can help meet Navy and Marine Corps challenges. It also fits with a UH West Oʻahu mission of offering education addressing state, regional, and international needs and an effort to increase enrollment, including the attracting of more veteran students. Jones noted the VETS program will be comparable to Veterans to Energy Careers (VTEC) Program at the University of Hawaiʻi at Mānoa that guides veterans into careers in the sustainable energy industry. That program is coordinated by the California State University San Marcos, which has the highest percentage per capita of veterans of any California State University campus. Jones said the VETS program will be more general in nature than the VTEC program, and may help build a pipeline to VTEC for veterans who want to focus on the sustainable energy industry. Jones sees a number of UH West Oʻahu programs as having STEM-related educational and career opportunities for veterans, ranging from Facilities Management to Applied Mathematics, Middle and Secondary Science Teaching, Forensic Anthropology, Disaster Preparedness and Emergency Management, Allied Health, and CyberSecurity and Information Assurance. 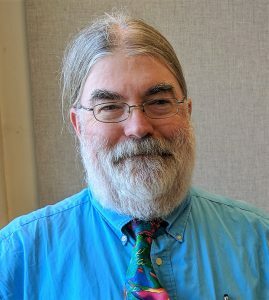 “It’s leveraging what we already have,” said Jones, a 2014 Board of Regents’ Medal for Excellence in Teaching recipient and president-elect of the National Earth Science Teachers Association. He sees the VETS Program having the potential to directly support and promote the transition of veterans into STEM-related career fields. Interns, Jones said, may qualify for stipends of up to $1,500 a month during the school year. The funding will help with upkeep of equipment in the STEM Lab, which was established under a $245,000 grant obtained by Jones, former UH West Oʻahu Director of Strategic Initiatives Sherry Proper, and Associate Professor of Management Keith Sakuda. A subsequent Office of Naval Research grant of $274,700 helped Jones expand the STEM lab into the Pueo Prototyping Laboratory which includes engineering workstations, 3-D printing, 3-D scanning, laser cutting, and Computer Numerical Cutting machines. Funding from the grant will support UH West Oʻahu efforts to maintain and expand current UHWO STEM programs, enhance and provide Veteran outreach, and upgrade and supply the Pueo Prototyping Laboratory. Tagged education, Office of Naval Research, Science Education, STEM education, University of Hawaii West Oahu, veterans, www. Bookmark the permalink.